Looking for the best gifts for car enthusiasts? Look no further; we have the most 'Useful Gifts For Car Enthusiasts' from all over the world for you. 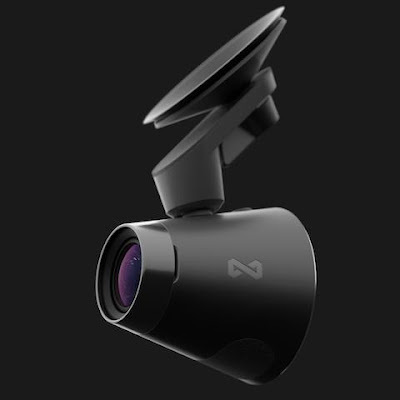 Smart Rear View Camera: If someone has a bit of an issue while backing up their car or while parallel parking, then this is for them. 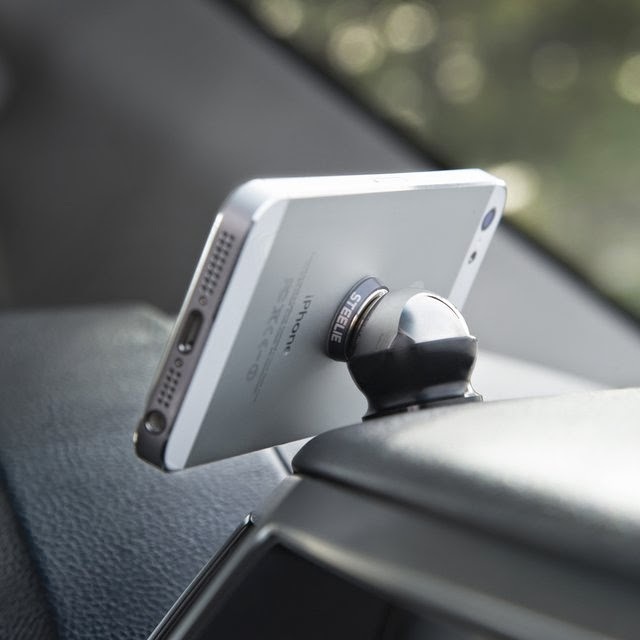 The Pearl RearVision Wireless Backup Camera and Alert System connects with the smartphone and provides access to wide angle images. 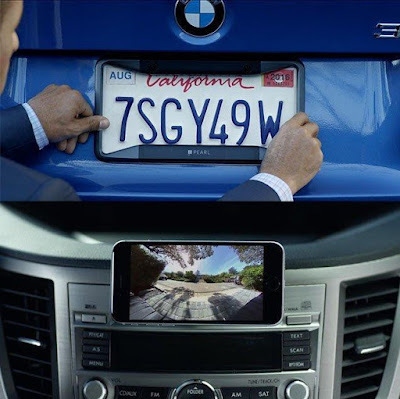 The license plate frame features a hidden camera, install it over the license plate and plug it into the car's OBD-II port. Now while backing up, the camera turns on automatically; open the rear-view camera app on the smartphone to view. This wireless backup camera and alert system provides audible and visual alerts when objects, cars and people are in the path. One can dock the smart phone in portrait and landscape in its versatile holder for responsible and handsfree view control. It installs in minutes. Buy Now. 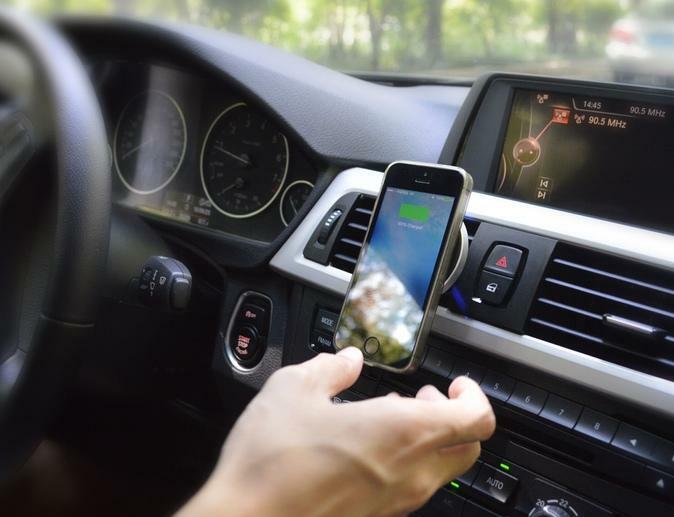 Put2Go: Put2Go is a magnetic phone dock with built-in wireless recharging for the car that supports iPhone and Android devices. It securely holds the smartphone and recharges it at the same time. Buy Now. 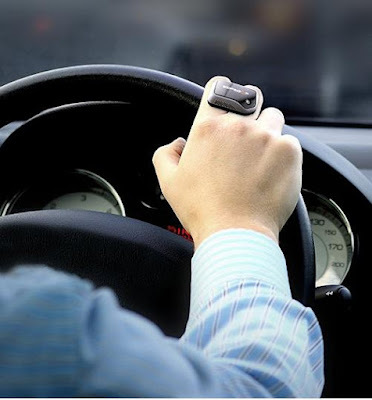 StopSleep Smart Ring: During long and lonely drives its possible that one can get tired and feel sleepy while driving, and things turn more worse if they had a tough day already. StopSleep is an the anti-sleep device that one has to wear on their finger, and it monitors the awareness and concentration levels and gives out a sound alert or a buzz to wake them up while driving. The device doesn't wait till one dozes off while driving, instead it gives alerts 5 minutes before only. The device monitors awareness, concentration, and more and with that gives an alert at the first signs of drop of the levels of awareness and concentration. Buy Now. Auto Dolly: The Merrick Machine Auto Dolly lets one move cars in any direction. 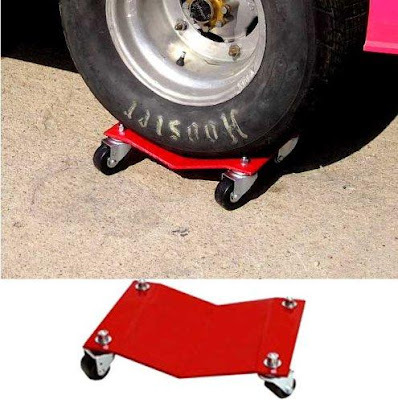 Each Dolly can take up to 1500 lbs. It works with automobiles, trucks, motorcycles, and more. Buy Now. Console Vault Safe: The Console Vault is a safe that installs in the center console of the truck, and can be used to store things that are important. It's made using 12 gauge coldrolled plate steel, features three point locking system, bank vault style hinge latch pins and balanced spring assisted door. Buy Now. 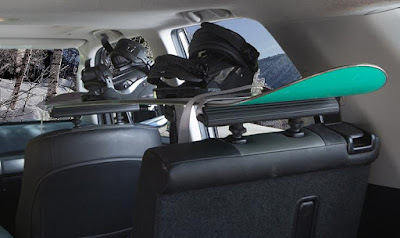 Seatrack Interior Cargorack: The Seatrack Interior Cargorack is perfect for taking along outdoor gear without scratching or denting the car. It works with most vehicles equipped with removable headrests. 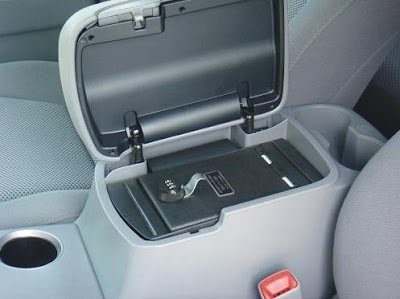 Need to be installed into the passenger and back passenger side seat, takes less than a minute and can take objects up to 50 lbs. 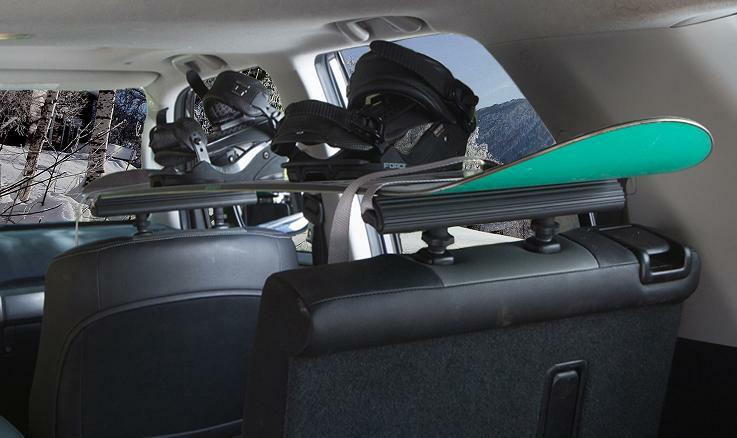 One can easily tie down everything from surfboards, skis, snowboards, fishing poles and more. Buy Now. Hudway Glass: Hudway Glass is a smart device that turns the smartphone into a Head-Up Display for the car. It displays all the information one needs while they stay focused on the road ahead. It's simple to use, just place the smartphone on the cradle with its display up, and its good to go. 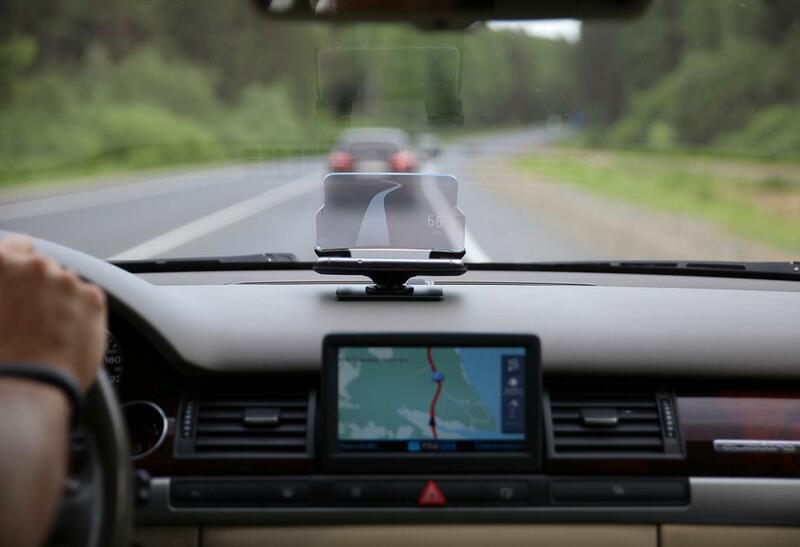 It lets one use any head-up display app on any smartphone in low-light visibility or on a clear day. Use the navigation apps on the smartphone to get directions for the heading. Buy Now. 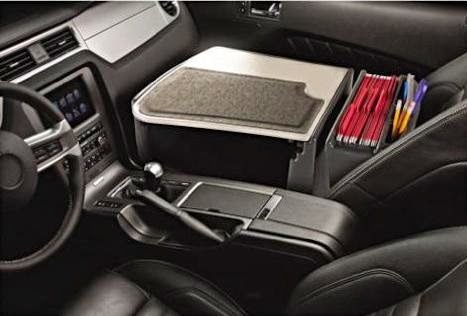 AutoExec 10005 Car Desk and Supply Organizer: Its a perfect desk for people who need a work surface and basic storage in their cars. It features a non-skid surface that holds smartphone, laptop, PDA, or briefcase. Buy Now. 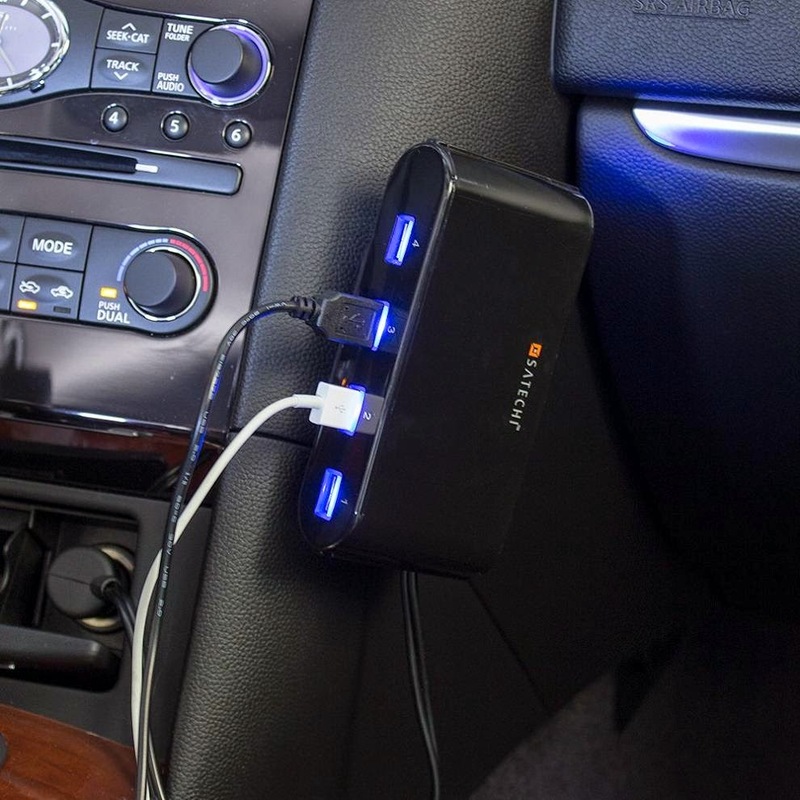 Satechi 5-Port 12V Car Socketextender: Just plug-in the Satechi 5-Port 12V Car Socketextender into the car's 12-volt socket and get instant access to five different recharging ports at once. Four of these USB ports have their own on/off switch for easy access to each device and saves power. One can recharge smartphones, music players, FM transmitters, GPS, e-readers, and more. Buy Now. 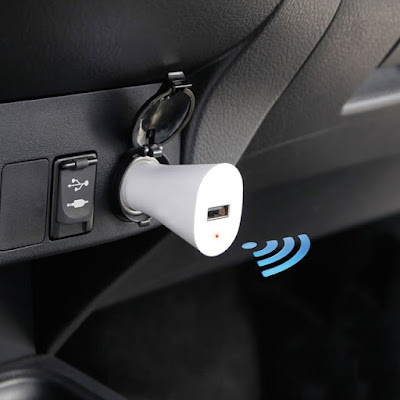 Automatic Parked Car Finder: The Automatic Parked Car Finder plugs into a car's power outlet and when the car's engine is turned off the device automatically marks the location of the car on its iPhone app. When it's time to return to the car, all one needs to do is check the app for the automobile's location on the map. Every location has time and day stamped to make things easy. It also features USB port built-into the beacon that recharges the smartphone or other gadgets. Buy Now. Waylens: Waylens is a data driven intelligent camera system that empowers one to easily record, edit, and share their best moments right from the road. It overlays real-time performance data on top of high quality video. It works with any vehicle with an OBD-II port, can be powered from 12v socket and is simple to install. 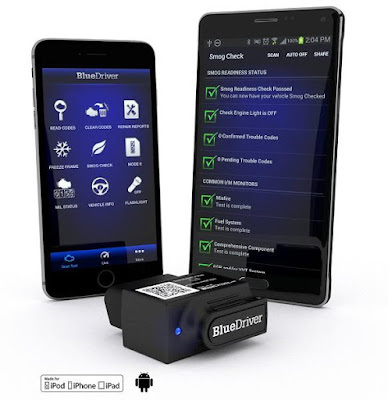 It turns on automatically once the car is starts, automatically records interesting clips based on data, and using its app one can post it on social channels. It's compatible with iOS, and Android devices. Buy Now. BlueDriver: BlueDriver is a Bluetooth OBDII tool trusted by mechanics. It's an officially licensed and certified device to be used for Apple and Android smart devices. This professional tool features all the expertise of handheld scantools and the benefits of having a smartphone serving the purpose. What more, its vehicle-specific repair reports are drawn from a database of over 4.3 million fixes verified by certified auto mechanics. Buy Now. Magnetic Car Holder: Its a cool way to hold the smartphone in the car; it allows one to adjust it perfectly every time. Buy Now. Viotek Heating and Cooling Car Seat Cushion: Now one can enjoy the luxury of comfortable seating in their car the way it's available in super luxury cars. 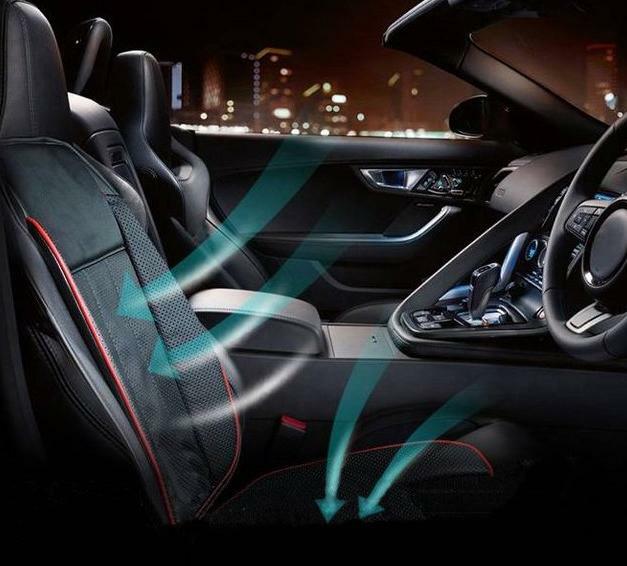 The Heating and Cooling Car Seat Cushion makes the long drives more comfortable. Buy Now. 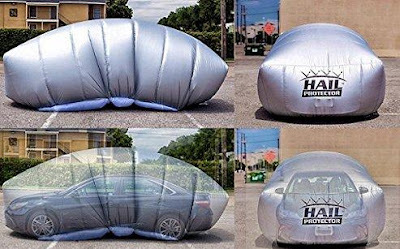 Inflatable Cover For Your Car: It uses a constant airflow system to create a barrier around the car, when activated via remote. It installs in between 5 and 8 minutes, depending on the size of the vehicle and system size. Its app is driven by its own proprietary weather data engine, that provides a real time forecast and alerts in advance at the locations across the USA. Apart from this, the Portable System of Protection does all the things a regular car cover does to protect the car. Buy Now.